In 55 BC, Julius Caesar invaded what today we call England. Well, some of us call it England. 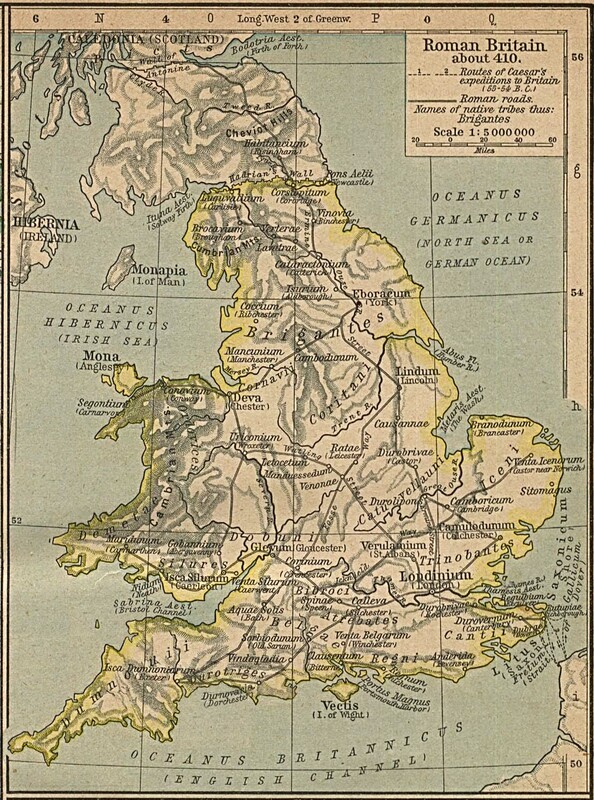 The Romans called it Britainnia. It was filled inconveniently with a lot of native peoples, tribes, many of whom were at war with each other, many of whom were just going about their daily lives and, frankly did not fancy any invasive armies. 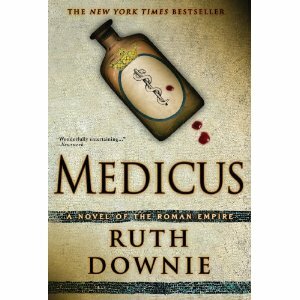 Oh well, if wishes were horses…..
Medicus is the story of a doctor with the Roman army stationed in Britain in the year of somebody’s god or gods or goddesses 118 A.D. Gaius Petreius Ruso is not a Roman, he is a Gaul. He and his brother have large property in Northern Gaul, which unfortunately dad had buried under a mountain of debt, unbeknownst to his unsuspecting family. When he suddenly dies, the brothers are hard put to save the property, on which the brother, his wife and a bunch of kids, plus the widowed step mother and her daughters live, so Ruso takes the opportunity to join the Roman army at a decent salary in order to help out the family financially. He is sent to the port of Deva, which is now Chester, to the fort there, which houses about 5,000 soldiers and hangers-on. The book opens with Ruso being asked to inspect the corpse of a girl apparently drowned in the river. And that is just the beginning. He goes on to rescue (read buy) an abused female slave from a disreputable dealer, and after going through great troubles to heal her, finds she can’t cook and has eccentric housekeeping abilities, and a mind of her own. He shares a vermin-infested dwelling with a fellow medic while waiting for housing, and wondering what he is doing in this land of cold, rain and fog, and is sucked unwillingly into a murky situation of disappearing soiled doves who work for the local … ummm …. dovecote. It is a delightful mystery, wound through the story of daily life in the early days of that era. The characters are truly charming and colorful. It is just a wonderfully well-done book, and imagine my delight at discovering there is now a series of five, with Terra Incognita being the second. I am almost half-way through that one. An interesting side tidbit: The titles for the books published in Great Britain are different from those given to them by the American publisher. Medicus is Ruso and the Disappearing Dancing Girls in Great Britain. I personally think the Latin titles are so much more appropriate. Ever go dumpster diving for all those cool treasures that people with too much disposable income throw out? Haha, yeah, me too. Well, after reading this excellent mystery/police procedural, you may decide to give the dumpsters a miss and just stick with curbside shopping. A teen goes missing, and we learn about her through her parents, her friends, a guy for whom she dogwalks. What is the connection between this and the dumpsters, you may ask. Well, if you have to ask, you haven’t been including enough mysteries in your literary diet, Gentle Reader. This wonderfully written story is told from the perspective of a lady cop who just made detective, and this is her first murder case. Lots of good characters in it, nothing improbable, and stuff that makes you wonder why cops want to be cops. This is the second offering from indie writer P. J. Smith. His first novel, Discards, published in South Africa in 2002, was named one of the best three SA books of the year by the Johannesburg Star. I am looking forward to more from him. This first person account of … how can I put this ….. life after death with a job, for pete’s sake, is fascinating, to say the least. Grant was 23, had a nice life, a great fiancee. Oh, yeah. And cancer. Which kills him. He wakes up to find himself in his 18-year-old body, in some afterlife organization, which has the responsibility for taking care of living people who have suffered a severe trauma of some kind and keeping them on the right track for their destiny. 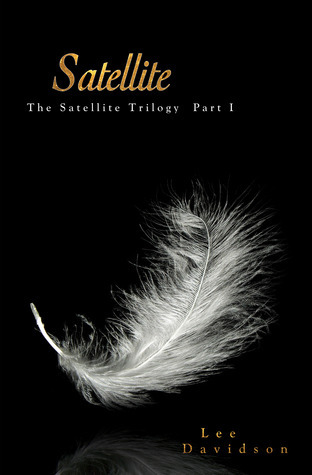 These caretakers, or ‘Satellites’ are what some of us might think of as angels. The people they are caretaking are called ‘Tragedies’. And if they go really astray in spite of the best efforts of their Satellite, they are called ‘Rebellions’. It was a fun read, but rather convoluted in its logic, mixing predestination with free will, rules and regulations with self-determination. I didn’t follow the logic of how if one’s life is predetermined, how could one get off track and need assistance? 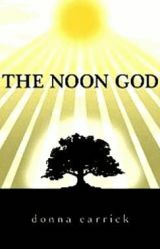 It has some good characters, an interesting plot, and is the first book in a planned trilogy. This is a debut novel in the young adult fantasy genre, but it was selected as a quarter finalist in the Amazon 2012 Breakthrough Novel Award contest. My only quibble with it is that it is filled with current day slang, such as “I would totally date her because she is so hot.” This is fine, but some slang wasn’t in vogue 5 years ago and won’t be in vogue 5 years from now, so would date the book in the long run. Those ‘classics’ we read do not have the slang of their day in them. Just saying. If the protagonist weren’t 18, but maybe in his late 20’s, and the writing style weren’t quite so breezy, it would actually be a really decent adult fantasy novel. A sweet little novella (or is it a novelette?) 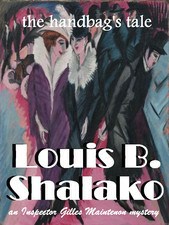 set in 1924 Paris. A police detective story about a man shot dead in a alley, and the gendarmes find a large, empty purse beside the body. And there are seventeen thousand francs in his pocket. How strange, oui? A certain type of victim requires a certain type of perpetrator. And now to find the perpetrator. A quick read, and not too damaging to your frontal lobes. OH! I almost forgot to tell you. I researched the difference between a novella and a novelette. A novella is normally longer than a short story but shorter than a novel, whereas a novelette is a short novel, typically one that is light and romantic or sentimental. Yeah. That clears it right up. What if it is shorter than a long story? Oh, never mind. This one is short, and you can snag it for free on Smashwords. Scroll down to the chart of downloading options. I do so love free, don’t you? J. Caesar Fortune (now there’s a cool name for you) was a noted writer of a number of best sellers, a professor, and an all around famous person. His oldest daughter has the dubious distinction of editing his work before publication. He had greatness, but boy did he also have enemies. But, oh dear, he was found murdered in the shed near his university office. Whodunnit? No shortage of suspects because there was no shortage of people whom he scuffed under his highly polished shoes. The daughter, survivor of an alcoholic mother who committed suicide when the daughter was a teen, and a pompous narcissistic famous father, is left, after the murder, to keep the family name in good standing. This is a mystery. But it is more than just that. It is an examination of what it means to be ‘illustrious’, and just how important that might be to one’s identity. It is a story of loyalty and family, and death. John Harrison. Not exactly a household name, but it should be. Unless you are of an Eastern Religion persuasion that believes we are one with the universe in the strictest sense, you care about time. We all do. Mankind has been making time marking devices since … well, since forever ago. ‘Clocks’ of one description or another are one of the oldest human inventions. We started with sundials, and water clocks, which go back to maybe 4000 BC, and candle clocks and hourglasses. Andronicus of Cyrrhus built a totally cool Tower of the Winds in Athens somewhere between 50 BC and 2 BC. The first mechanical clocks showed up in the 1100’s. But here’s the deal. None were all that accurate, and would not help the poor navigator at sea. He needed to know where he was in order to know where he was headed. 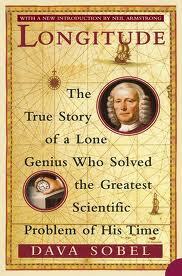 He needed to know his longitude. Determining latitude was relatively easy in that it could be found from the altitude of the sun at noon with the aid of a table giving the sun’s declination for the day. But that is on dry land. Most ancient mariners did this at sea by dead reckoning. That didn’t work too good once they got out of sight of land. To know one’s longitude at sea, one needs to know what time it is aboard ship and also the time at the home port or another place of known longitude-at that very same moment. The two clock times enable the navigator to convert the hour difference into geographical separation. Since the earth takes 24 hours to revolve 360 degrees, one hour marks 1/24 of a revolution or 15 degrees. And so each hour’s time difference between the ship and starting point marks a progress of fifteen degrees of longitude to the east or west. Every day at sea, when the navigator resets his ship’s clock to local noon when the sun reaches its highest point in the sky, and then consults the home port clock, every hour’s discrepancy between them translates into another fifteen degrees of longitude. One degree of longitude equals four minutes of time the world over, although in terms of distance, one degree shrinks from 60.15 nautical miles or 111 km [Earth’s circumference being: 21,653.521 nautical miles, or 24,901.55 statute miles at the Equator], to virtually nothing at the poles. 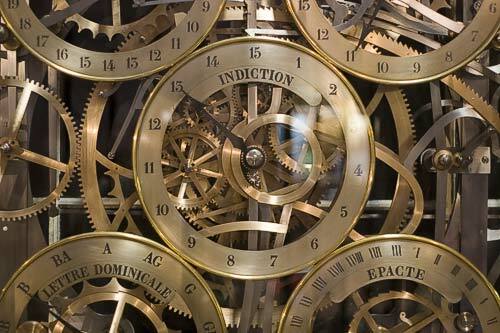 Precise knowledge of the hour in two different places at once – a longitude prerequisite so easily accessible today from any pair of cheap wristwatches – was utterly unattainable up to and including the era of pendulum clocks. On the deck of a rolling ship such clocks would slow down, or speed up, or stop running altogether. Normal changes of temperature encountered en route from a cold country of origin to a tropical trade zone thinned or thickened a clocks lubricating oil and made its metal parts expand or contract with equally disastrous results. A rise or fall in barometer pressure, or the subtle variations in the Earth’s gravity from one latitude to another, could also cause a clock to gain or lose time. And this book is the story of the competition to win the Longitude Prize awarded by the British Board of Longitude in 1714. The prizes were to be awarded to the first person to demonstrate a practical method for determining the longitude of a ship at sea. Each prize, in increasing amounts, were for solutions of increasing accuracy. These prizes, worth millions of dollars in today’s currency, motivated many to search for a solution. This is a wonderful book, and is not nearly as dryly academic as you might think. Extremely readable, with lots of personal stuff about those vying for the big prizes. Which brings us back to John Harrison. Oh, wow. Look at the time! Gotta run. 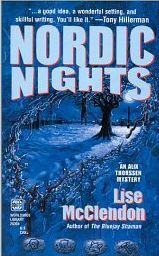 The only thing Nordic about this story is its connection with a Norwegian artist and the heritage of the protagonist. It is one of those nice cozy-type mysteries, set in Jackson Hole, starring a young woman who owns an art gallery. 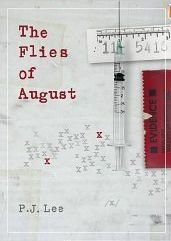 This is the third in the Alix Thorssen mystery series. Lise McClendon is a prolific writer, with several series to her credit, and a couple of stand alone novels. All her protagonists are strong female figures, which is always nice to read. Mz. Alix lures a famous Norwegian artist to show his work in her gallery/shop during a winter festival, “Nordic Nights”. And then, dang! He turns up dead, stabbed. Her parents are in town visiting, and dad is found standing over the body. So of course he is a suspect. Let’s face it. All these kinds of stories are somewhat formulaic. But a writer who can take that formula and make it work in her/his own way is to be admired. It is what happens around the formula that makes a mystery worth while. That’s where Dorothy Sayers shines. A nice book, easy read, not too tough on the old bean power. I read it during a hot spell here, and darn if all that talk about snow and ice sculptures and low temps didn’t cool me right off.